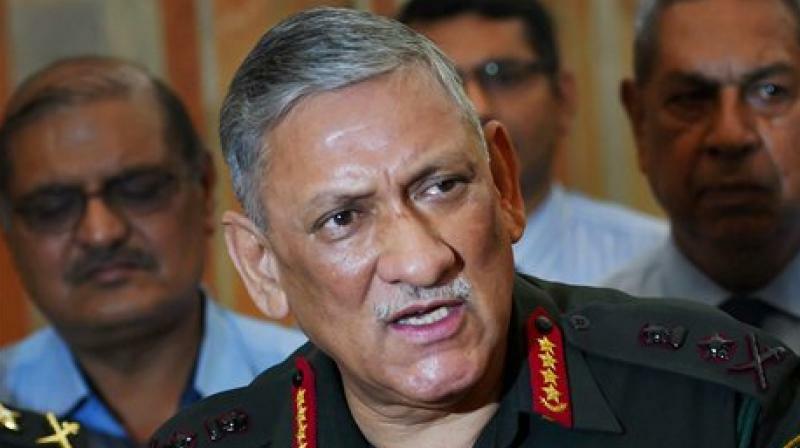 With Army in a conciliatory mode, is Operation All-Out ending? Cordon and Search Operations (CASO), abandoned in 2002 due to public outcry of human rights violations, were also started. New Delhi: More than a year after the Indian Army launched “Operation All-Out”, a relentless no-holds-barred offensive against militancy in Kashmir, an ongoing meet of Army commanders at Maneckshaw Centre in the national capital is likely to have decided that the military’s ‘job’ was settled now and it was time for the politicians and civil society to take over. Also opining that the contours of the resolution of the Kashmir issue lies in the realm of politics, the official said that with the onset of the working season in Kashmir from April to October, it is time for all types of businesses and tourism industry to flourish. He underlined that it was important for people to utilise this period for their livelihood rather than spend time in fighting. This is in sharp contrast to what Army chief General Bipin Rawat said just before launching “Operation All-Out”. With the change in tactics being necessitated because militants were believed to have been hiding among the civilian populace, “Op All-Out” entailed a major shift in the counter-insurgency tactics that sought to toughen the rules of engagement with the Army fanning out into the hinterland in the Valley and operate in a “seeking and engagement” mode. Five sensitive areas — Kulgam, Traal, Pulwama, Budgam, and Shopian — were made the focus of the operations. The counter-insurgency grid was also rearranged.